Offensive tackle is a premium position in the NFL—just check out any free-agent binge lest you need a reminder. Center has enjoyed an increase in love of late, too, as more and more offenses look to push the tempo and more and more defenses try to counter by attacking the A-gaps. The 31-year-old is one of the best offensive linemen in football, period. 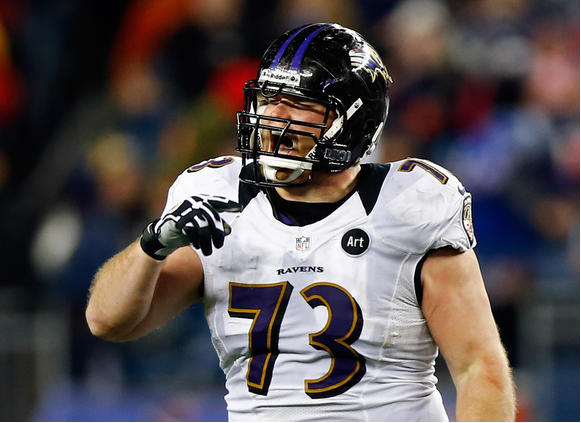 Up until Brandon Brooks signed a five-year, $40 million deal with Philadelphia in March, Yanda was the league’s highest-paid right guard. He’s been named an All-Pro for two years running and a Pro Bowler five straight times, and has missed just two games since 2009. Last season, Yanda allowed one half-sack—one—in more than 740 snaps in pass protection. Refs flagged him for exactly one holding call in each of the past two seasons, and both penalties were declined. Several players on this list are proficient in both run and pass blocking, but Yanda is absolutely dominant at both.